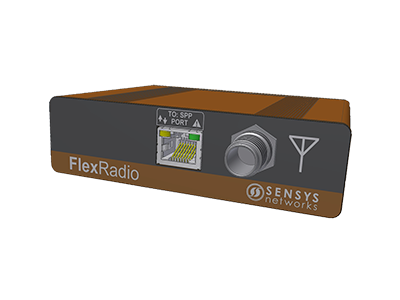 The Sensys Networks FlexControl is a state-of-the-art hardened LINUX computer responsible for managing radio communications and data processing for wireless sensor networks optimized for traffic applications. FlexControl processes sensor data in a time-synchronized fashion, manages firmware updates for wireless components, and manages communications backhaul to central servers, all while consuming less than 1 watt of power. 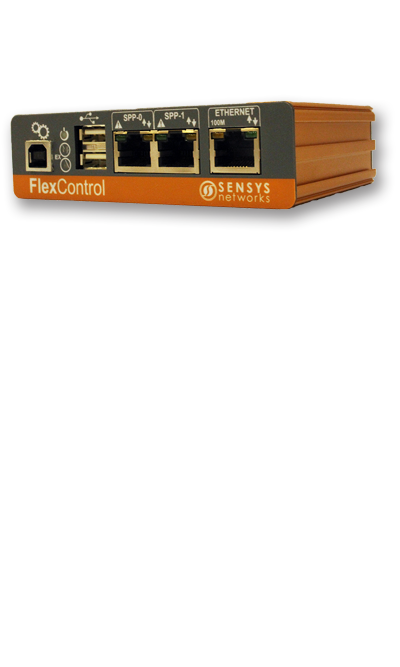 FlexControl comes in two form factors - FlexControl Module, an enclosed box which mounts to the cabinet via bracket or DIN; and FlexControl Card (APCC), which connects directly to the cabinet rack. Both versions come with Ethernet and dual USB interfaces, while FlexControl Module includes additional internal memory, a USB type-B port and terminal block or barrel power connector options. 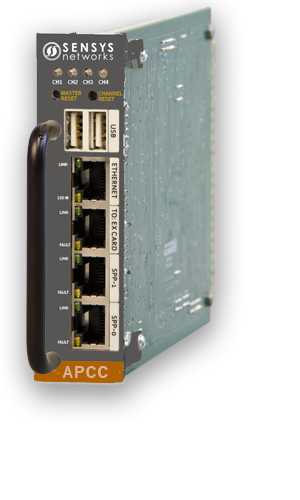 FlexControl Card (APCC) uniquely comes standard with contact closure support and optionally offers an expandable SD memory card slot with dual serial (DB9) interfaces or a single serial port with a built in cellular modem. The FlexRadio™ Cabinet Mount and standard pole-mounted Radio, are serial port protocol (SPP) digital radios, that transmit data between sensors or repeaters and the FlexControl gateway in the controller cabinet. Up to two antennas or radios can connect to each gateway for maximum detection coverage. 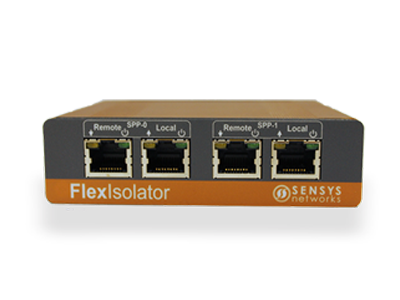 The FlexIsolator™ provides two independent isolator ports for electrical isolation and surge protection for up to two digital radios, and AC power cross protection for FlexControl gateways. The standard single-port Isolator provides the same protection but for one radio at a time. 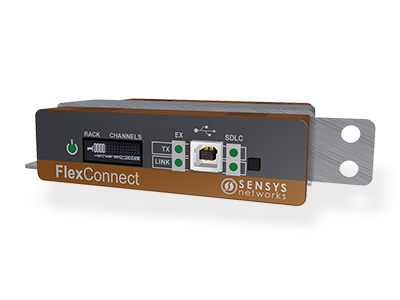 The FlexConnect™ provides an SDLC interface for FlexControl gateways, replacing the functionality of one or more EX cards with up to 64 channels. This reduces system costs and frees up card slots in controller cabinets.